In the case of home insurance claims due to damage, the majority of policy makers will pay out. Phew! However, what are the statistics for when you have fallen victim to a crime? Unfortunately, home insurance claims are not just made when something breaks, leaks or causes damage. Approximately 3% of home insurance claims are due to a home burglary, which isn’t much when you compare how many are due to damage, yet those 3% have already been through an undoubtedly heart breaking situation, so are they 100% guaranteed a pay out? Why might insurance companies not pay out? In 2016, almost 11.2 billion euros were paid out in home insurance claims in the UK. That is a lot of money! So contrary to what people believe, insurance companies do honour their policies. The integral part to remember is, it is their policy and you need to know what is in it. In 2017, Aviva (the UK’s biggest insurance company) paid out on 96% of the claims made. You may be wondering, what about the other 4%? Well, one of the biggest reasons you may not receive any compensation from your insurance policy maker, is because you have not taken out the right or have not taken out sufficient insurance cover. As I have previously stated, home insurance policies are one of the most important documents to homeowners. However, you need to know what the policy entails, what is stated as covered and if you have enough cover for the belongings you have in your home. For instance, have you itemised expensive pieces of jewellery? Or other significant valuables? If not, then do it now! It could be the difference between a full pay out, a partial pay out or nothing at all. Home insurance policies also have varying degrees of cover; most insurance policy makers have a standard cover and you need to ‘add on’ additional cover that is bespoke for you. This is where you may encounter a hiccup with your claim: have you updated your insurance policy sufficiently? Have you extended your home? Put value on your property? Attained more valuables? If the policy maker does not know and it is not reflected in your policy document, then they won’t be paying out or at least they won’t be paying what you want or expect them to pay. According to the British Insurers Association, 82% of house insurance claims were paid in the years 2015-2016, which is a large percentage. They laid out the biggest reasons why insurance companies did not accept a claim and did not compensate the policy holder. The first reason was for insufficient cover (i.e. only having ‘standard cover’). If a claimant was claiming for accidental damage or home burglary, but that was not part of the standard policy, then the claim was not paid out. The second reason was for claiming for things which were not stated in the policy (this is why you need to check what is in that document). Lastly, for claiming on a pre-existing issue, which was not stated when the policy was taken out (i.e. you’ve not told the whole truth). How to remain compliant to your policy. You need to ensure that your policy reads exactly as you imagine it to read. By that I mean, if you want accidental damage insurance, then ensure it is stated in your policy. If you are not sure if you are covered for a particular aspect, then speak to your policy holder: they are there to help and advise. As a result, it may mean that you need to upgrade your home insurance policy. Furthermore, keeping your house safe and secure is just as important as keeping your home well maintained (which is another clause in almost all insurance policies). If your house does not have sufficient security, then a policy holder may deem it as negligence and therefore will not pay out on an insurance claim if you were burgled. 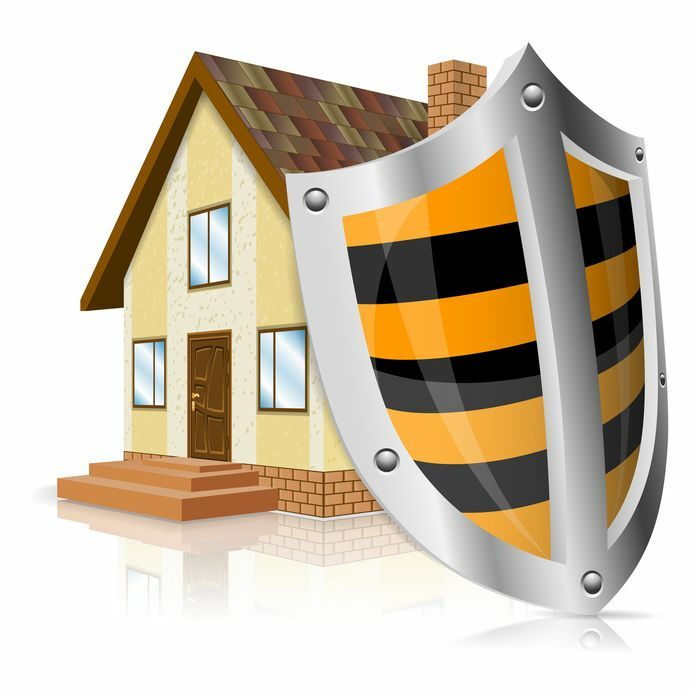 How can you improve your home security? According to the British Insurers Association, in the years 2015-2016, 14% of all home insurance claims were for home burglary. Unfortunately, some insurance companies will not pay out for what has been stolen, unless it looks like someone has forced entry. This means that if you have accidentally left your key in a door, have left a window open or perhaps have forgotten to lock your front/rear door(s), then it is unlikely you will have your claim accepted. This is not true of all policy makers, however there have been a stark amount of insurance companies that (in their fine print) state that they will not accept these claims. If a window is broken, or there are signs are forced entry, then you should be absolutely fine. They will unlikely pay unless there is evidence of forced entry, as it falls into the category of you not keeping your home safe or secure. Therefore, there are some things you can do to ensure that you home is secure and that if you happen to become a victim of a burglary, it can only be a result of forced entry. Firstly, ensure that all of your doors have secure locks. Some locks are easier to pick than others, however a reputable locksmith will be able to advise you on whether you may need to upgrade. This is a small and relatively cheap way to create a huge impact on your home security. Secondly, keep your keys safe and away from doors or windows. If an intruder gains entry using a key, you will unlikely have an insurance claim accepted. Furthermore, you need to consider not only the locks on your doors, but your windows too. When you’re not in your home, windows should be closed and locked. If you do not have locks for your windows or you have lost the keys, the window handles can be easily replaced by a certified locksmith. Last, but not least, you may want to consider your shed or garage, what you keep in it and how secure it is. Does your shed need a padlock? Is your garage lock on its way out? If so, you can buy a padlock for a minimal amount of money, yet it could have a major effect on a claim. Furthermore, if you need to replace your garage lock, there are a number of options which you could discuss with your local locksmith. This way, you know that your home is as secure as it could possibly be. This is not only a good deterrent, but practically ensures that if someone did attempt to break in, that forced entry would be evident.